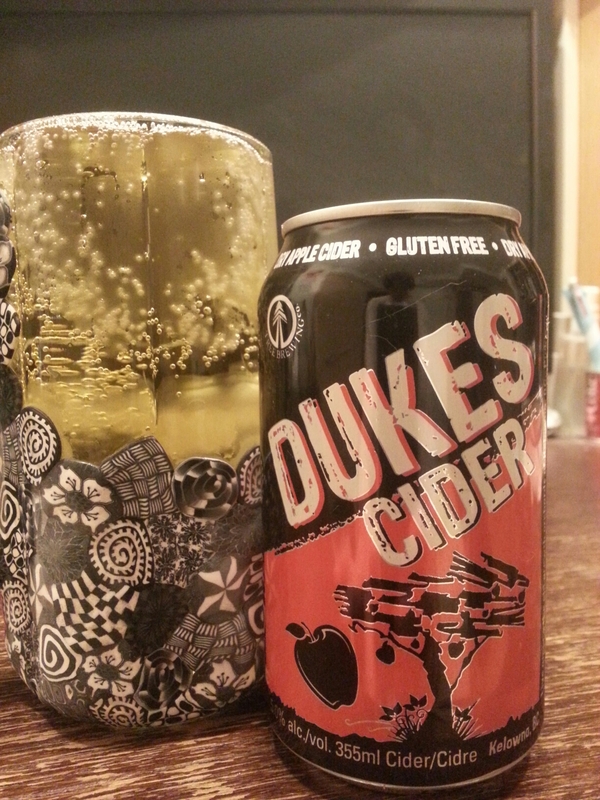 Dukes Cider – Tree Brewing (Kelowna, BC, Canada) | Justintoxicated. Visual: Pours light straw yellow without a head, big bubbles clinging to the side of the glass, steady average speed streams. Finish: burpy, residual tangy tartness, apple exhale, palate rough finish.